Over the years, we’ve been lucky enough to create a wide variety of videos for the global asset manager, Schroders, including some brilliant short documentary films. One of our favourite formats we’ve produced is a series called Hidden Talent - which takes us out of the office and into the lives of employees with particularly impressive, sometimes unusual, past-times and passions. These are definitely not your average corporate films - the series has seen us shooting triathlon runners in Rotterdam, following a six-day ultra-marathon across the Saharan desert and dancing in the dark after-hours at Schroders’ headquarters. To celebrate the release of our profile film of Roland, we thought we’d look back over the series and pull out some of our favourites. There’s a lot we love about this film. Firstly, there’s the stark contrast between the office of a global financial institution’s Manhattan HQ and the sweaty, stripped back Sitan Gym in Queens. And while in the Schroders office Devere was a friendly, assured, impeccably mannered Investment Consultant, as soon as the gloves went on he completely transformed and we got a visceral sense of his dedication to fighting excellence. And then there’s the fact that the whole thing was shot in the space of only a few hours, with us running and gunning, and nearly having our cameras kicked out of our hands within the confines of an intense training session - it’s not often branded films require the dodging of female MMA champions. Shot in the scorching heat of the Saharan desert in Morocco, this film follows Fund Manager Nick Kirrage as he took part in one of the toughest races on earth: a six-day ultramarathon, running the distance of six regular marathons in temperatures often over 50 degrees. Planning where we were going to film Nick was the biggest challenge on this shoot; about a mile from the finish line, as our crew raced over a sand dune to get into position, our 4x4 got completely and predictably stuck. Seeing Nick approaching in the distance, our Director, Guy, sprinted to the finish line himself, catching Nick just as he completed the epic race. We did eventually rescue the jeep by digging it out, long after the race was over. A corporate shoot with more heart than most, Addie reveals in this film how dance helped her through a really difficult time in her life, and how important dancing Bachata is to her mental health now. We joined her dance group as they brought a touch of Dominican rhythm to New York city, and we think the Bachata music brings a beautiful pace to this mini-doc too. As well as spending time with her dance partners, we interviewed Addie’s colleagues at Schroders; both very clearly benefited from Addie’s positive energy... as did our profile film of her. Our final scene captures Addie dancing to the backdrop of the sun setting on a blue New York sky. With the Salsa, the music and the lens flare, it looks more Havana than Harlem - it’s the perfect note to end this beautiful short film. The edit has begun (again)! We're now a couple of months into the editing progress and things are shaping up. Admittedly we don't have a finished film as quickly as we'd hoped but with this being a passion project, annoyingly, I guess that's to be expected... especially as we've been even busier than usual here at 3AM HQ. Having ingested everything (including the processed film), our in-house editor, Jon and I sat down to start assembling an edit. It can be tough going keeping the ball rolling on a side-project like this, so we made a pact to dedicate our Thursday evenings to getting through it. Bit of a commitment but it's been worth it. I've worked with Jon for a couple of years now and both being in-house means that we've developed a really good, sometimes slightly scary, understanding - we already know what each of us is going to like and shortcutting the usual get-to-know-you slow start you sometimes get with new projects. And shortcuts are a very good thing when you've got as much content to play with as we had. 45 minutes of interview audio per contributor meant that we faced a real uphill struggle getting to a manageable edit - not helped by the fact there was SO MUCH GOLD. Honestly, these guys are amazing to listen to. I could happily make a film about each one of them. What really helped at this stage was the extensive conversations I'd had with the team (Kezia, Charles and Jon) earlier in the planning process, it gave us a really solid focus in the early cutting stage and empowered us to make some pretty brutal decisions about what to bin from the timeline. Before long we had a first edit we were pretty happy with so we booked in a crit session with Guy and Thom (3andgrymen founders), who'd so far left us to our own devices. 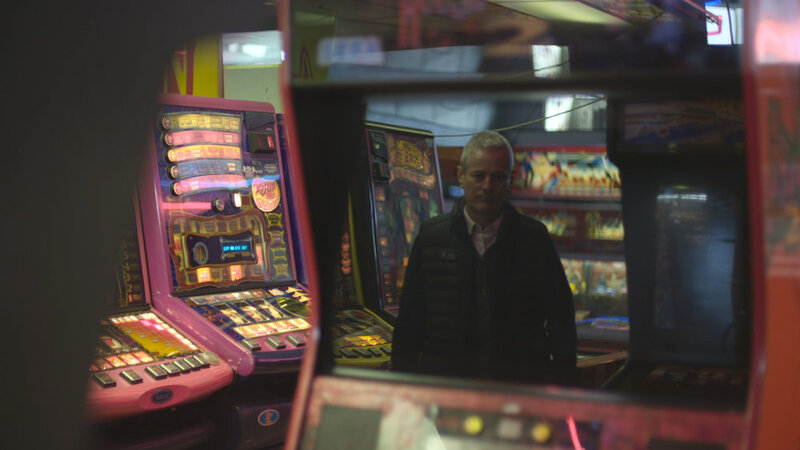 Getting fresh eyes on a film for the first time is always a slightly nervy, sensitive moment, you've built your house of cards and you'd really rather someone didn't come and knock it down. It turns out it's no less difficult when it's a project that you feel so personally invested in. The results were in and the feedback was mixed. The shots were lovely and the edit was undeniably tight and while they could see how amazing the raw materials were, as a documentary, it felt a little flat. This is probably because Jon and I have worked together so much on branded content films for our clients, it felt like it was trying to give a balanced overview rather than tell a powerful story. With no time limit, with no specific message or brand to promote, there was room to make something different, something more personal, so what was holding us back? Weeks into the process we all agreed we could do better, we decided to begin again, to start from scratch. And weirdly, rather than disheartened, I found myself more excited for the film than ever. We're already deep into the second cut and I can already feel a more emotional, resonant story emerging. Did I mention this was the first documentary I've ever made? It’s not every day that you receive a footlong golden dolphin in the post (probably a good thing) but when one does turn up, you shout about it, right? You certainly do if, in fact, the dolphin is an award ferried all the way from the glamorous shores of Cannes. We’ll cut to the chase, we’ve been awarded gold at the Cannes Corporate Media & TV Awards for the Skills for Life film we made with Scouts earlier this year. And we’re chuffed to bits because a) we got an impressively weighty gleaming golden dolphin, b) we were up against some fierce competition and c) it’s dead nice when you get industry recognition for the work you’re most proud of. It’s worth noting that this was an award for Best Corporate Film, which, if you watch the film, isn’t necessarily the descriptive term that springs immediately to mind. It’s a very personal story told in a considerate, human, beautifully textured way and that’s not what people traditionally associate with the word ‘corporate’. But we like to think this is a sign of how far the industry has come, how well organisations are communicating with their online audiences in increasingly considered, imaginative, ambitious ways. We’ve never been that good at (or interested in) categorising the films we make but whether you want to call them a corporate films, or promos, or online ads, or whatever, we’re naturally as pleased as punch to win professional awards for them. There’s not much more to say other than another big thank you to the whole team who went far above and beyond to make the film as great as it is. Appropriately for a film about Scouting, it was a huge team effort. And in case you haven’t had the time to watch the film yet, now’s the time! 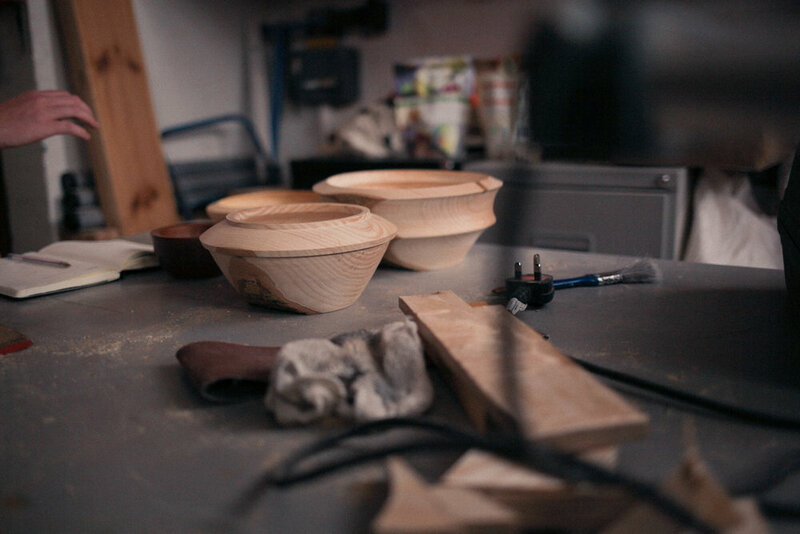 Our in-house director Danny takes us behind the curtain of his new work in progress mini-doc. It feels like an absolute age ago that I discovered our local Men’s Shed and I couldn’t help but stick my nose in to see what was going on. In case, like me, you’d never hear of it before, it’s a self-sufficient, community-based workshop set up to combat men over 50 feeling isolated from society. Since I joined the 3angrymen team I’d been looking around for a side-project to get off the ground (it’s something we can all do with the company’s support) but nothing had taken my fancy. The minute I started chatting with Shed Chairperson, Ray (top bloke), my mind started whirring and I knew I had to make a film about this project. It felt inevitable, all I needed was a plan of action. My first port of call was to convince my fellow-Angry, Kezia, that she too needed to make this film (after taking her on a guided tour of the shed, she didn’t need much convincing). With her on-board, we started plotting how the film could play out and the themes we wanted to hit. After hours of back and fourth in The Victory next door, we came to the conclusion that this wasn’t going to be a film about loneliness. Instead we wanted to focus on telling a story of discovery, of finding that place, that group of people, that makes you feel at home, whatever’s going on at work or wherever. 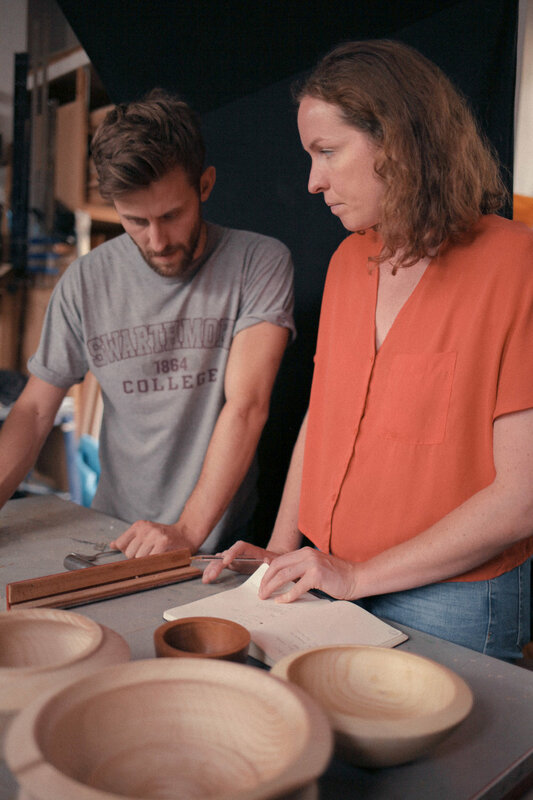 That’s the beautiful thing I could feel as soon as I entered that workshop - there’s a spirit present like I’ve never experienced, a connection between former strangers that feels so warm and effortless. Stage one of the production was recording audio interviews, choosing to get stories away from the camera so we could capture as authentic a voice for the film as possible. It’s not rocket science, take the massive, expensive looking camera rig away and suddenly the conversation flows unhindered. And as we chatted to various members of the shed, we were blown away by their hospitality, generosity and honesty. Having put a super-rough audio edit together, we headed out to capture the visuals. I’ve worked with (Director of Photography) Charles Mori quite a few times and had unashamedly pestered him to join us for this project. Thankfully, it didn’t take too much begging before he was fully on board. It’s a side-project so we kept things like kit and crew to a minimum, our only real embellishment being an 8mm film camera that we wanted to use to capture some of the more fun, nostalgia tinged moments. We’re right in the middle of ingesting and arranging all of the footage right now (and waiting for actual film to be processed in a lab - pretty cool for someone like me, who started making films during the DSLR revolution!) so I’ll update again in a few weeks, to talk a bit more about how the filming went. Here’s some bts shots in the meantime. It's that time of year. The kids are heading into school and it's a big deal, especially if you're a 4-year-old and it's your first day. It also happens to be a big day of firsts for us too. Yesterday, we had not one but two adverts broadcast into homes all over the country, which for us is pretty monumental. Our specialty has always been content for online but increasingly we're getting to work our magic in Adland. Don't get us wrong, we love producing content for online. But there's an entirely different type of thrill that hits when your work goes out at prime-time and you know millions of people are watching. First up, broadcast halfway through Corrie, was our new film 'Every Day' for the NSPCC. This is a very special one for us. We've been working for the NSPCC for a good old while now (our first million hit video was for them) and it meant a lot to be asked to create the film that would spearhead such an important campaign for them. The film is based around a day in the life of the charity and its many services, offering the audience a sneak peek at the sorts of work they do to protect children, prevent cruelty and transform lives. Featuring performances by real NSPCC practitioners, each scene depicts a different type of conversation that they might have on any day of the week. You can see the full length version of the film here. Next up is our second ad in a year for the very lovely people at Explore Learning (you can see the other one here), which aired on the likes of Channel 4 and Sky yesterday. The spot focusses on the moments that matter in a school day, when the pressure's on and pupils have their mettle tested. We need to say a huge thanks to all of the people who helped us make these films. A particularly special mention to Director of Photography Sebastian Cort, who worked with Danny (NSPCC) and Guy (Explore Learning) to make both films look as splendid as they do. So yes, quite a day for your friends here at 3angrymen. If you need us we'll be glued to our telly boxes, party poppers and foghorns at the ready. 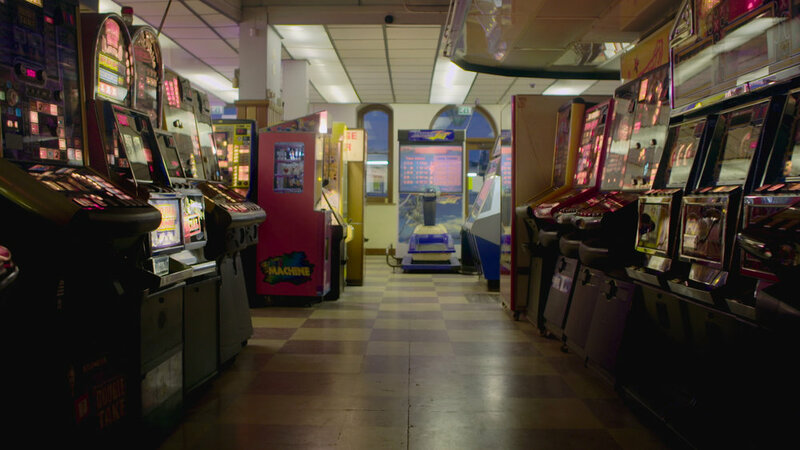 We’ve made a new short documentary called ‘Wallpaper - End of the Arcade’, set in a decades-old amusements on the Isle of Wight. I’d been thinking about doing something set in an arcade for years, it’s a setting that I’ve been mildly obsessed with since I was really young and the annual fair used to visit my hometown. There was always something so exciting about the neon, the noises, the new technology and the older kids who hung out there - I was way more interested in spending my pocket money there instead of on the dodgems. These days, I still can’t resist having a quick mooch around to see what games are on show, even though they’re definitely shadows of what they once were. I think there’s something fascinating about the fact that these places, which used to be home to the very latest gaming tech, have now transformed into time capsules full of these electronic relics. 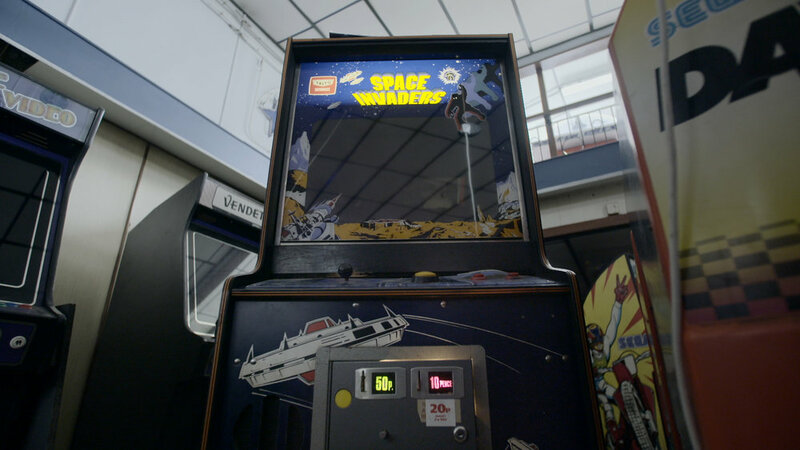 A while ago we got offered some new kit to try out so we quickly arranged to go and spend a couple of days in Ryde, shooting this mini-doc featuring the two guys who've been running an arcade for nearly 40 years, Richard and Peter. Having worked in the same place since the 1970s, through the heyday of the 80s, it was lovely getting first-hand accounts of the complete rise and fall of this seaside staple. We kept things super simple, shooting on one Sony FS7, the DJI Ronin gimbal and a single panel light to help with the interviews. Having been given the run of the place and free use of the machines, the biggest challenge was staying focussed on the filmmaking, not getting drawn into yet another run at Time Crisis 2. Thanks to everyone who helped us put it together, especially our mate Titas, who set everything up for us. Starting mid-way through August, 3angrymen are going to start a new initiative called Ask Away Thursday and it’s for anyone at the outset of their production career who wants to ask us anything about whatever. Well there’s a few reasons but the main things are a) we’ve been there b) we could have done with some help and c) we’re getting more and more people asking us how they can make progress in the industry. 11 years ago, when 3angrymen started becoming a thing, we rattled around London, shooting the odd promo here and there with little to zero idea of how to set up a production company and no idea who we could ask without being a right bother. The people we did get to ask questions are still heroes to us. Today, with the industry being more popular/crowded than ever, we know the competition for jobs is fierce and the routes to success are less and less straightforward. We’d like to do what we can to help start the 3angrymens of the future. We’re offering, once a month, to open our doors for a couple of hours to whoever, to share our experience and opinions. If you’re trying to start out in the industry and you have a question, we’ll try and answer it as honestly and helpfully as we can. If you want us to look at your CV, we will. If you’ve got a showreel to watch, we’ll take a look and let you know what we think. If you’ve got ambitions to start your own company, we’ll tell you not to bother (jokes). At each Ask Away Thursday we’re going to try and have at least three of us around to talk to. Could be one of our producers, could be an editor or director, could be one of the founders of the company. And with any luck, there’ll be more than one of you, so you can have a natter amongst yourselves and compare battle scars. There might even be a cold beer or two if you’re lucky. What we aren’t offering is jobs. And we’re not going to commission you to make your next passion-project. We’re not even offering work experience. We’ve got an intern scheme that we’d love people to sign up for but that’s a separate thing you can apply for if you’re up for it. Why should you listen to 3angrymen? One thing's for sure, whatever we say shouldn’t be taken as gospel. We’ve muddled our own way to where we are but we’re not sat here thinking our way of doing things is for everyone. We can’t tell you the one way forward because chances are there are a few thousand and, clichéd as it sounds, that’s your call to make. In fact, every person in our company has got to where they are via completely different routes - some traditional, some not, some meticulously planned, some entirely haphazard. We’re not even saying we’re the perfect model of a production company (what is that in this day and age anyway?) but we do get paid to make films for real clients and we do employ people to do it and we’ve got better at doing that every single day since we set out. When’s it happening and can you come? Well, it’s probably going to be on a Thursday, we know that much. It will be at our place and probably go on for a couple of hours between 6pm and 8pm. Other than that, keep an eye on our Twitter feed and we’ll post when we’ve picked out a date and you can just DM us to let us know you’re coming by. By now you'll have no doubt spent a decent chunk of time ignoring various companies’ emails, pleading with you to sign up for the marketing emails that you've been ignoring for several years before. Well, like everyone else, we've got to comply with GDPR and as annoying as the additional admin is, we see it as a good thing. Yes, we'll lose a few email addresses from our mailing list but we don't want to bother people who don't want to be bothered. As a small company trying to do big things, the support we get from friends, family, colleagues, fellow professionals means a lot to us; encouraging us, putting us in front of other people and even helping us to win awards.